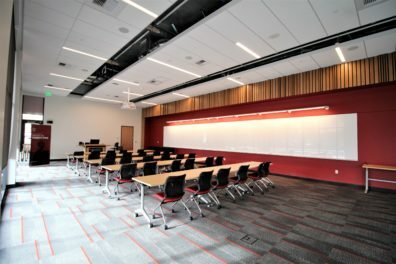 If your organization is interested in hosting an event or meeting at WSU Everett, please fill out this form and email it to Melody De Lappe for scheduling and a quote. 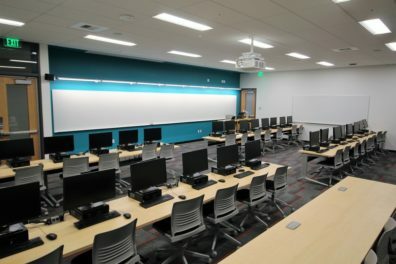 WSU Everett staff will then be able to determine if WSU Everett has appropriate facilities for your use. Please review our room rental rates here. Additional fees may apply and are subject to change. Weekends are unavailable for space rentals. 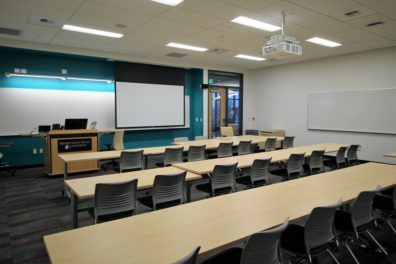 If you desire a special layout, WSU Everett staff will assist with moving tables and chairs to accommodate your meeting or event for an additional fee. 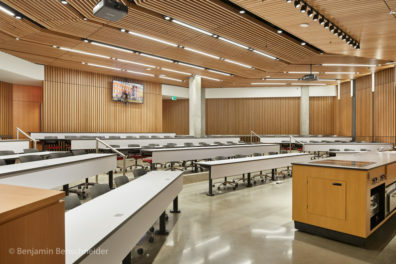 WSU Everett does not have event-specific furniture such as dinner- or cocktail-tables, linens or flatware. Those items must be ordered by the event host or the caterer. Banquet Permit: Allows the service and consumption of liquor at a private, invitation-only banquet or gathering held in a public place or business. Banquet Permits are available online. Please register for Rave Emergency Alerts. These alerts cover emergency situations at Everett Community College (EvCC). The Everett University Center (EUC) is located on the EvCC campus, so these alerts apply to all EUC partners. Click ‘Register’ in the upper-right quadrant. An online identification from WSU or EvCC is not required. The EUC is committed to maintaining the safety of the students, faculty, staff and visitors to the campus. As part of this commitment, provided in this site are descriptions of some actions which may be implemented in response to a campus emergency, as well as information on actions individuals may take in response to specific types of emergencies. Register here for campus emergency alerts. These alerts cover emergency situations at Everett Community College. The EUC is located on the EvCC campus, so these alerts apply to all EUC partners. Click ‘Register’ in the upper-right quadrant. An online identification from WSU or EvCC is not required.